Intel has launched an Atom-based platform for use in storage devices aiming to add a little processing power to your home network. With partners such as LaCie, LG and Synology, Intel is hoping that the option of single or dual-core Atom processors can make network attached storage (NAS) devices more popular in the home and small businesses. "NAS systems have traditionally been found in businesses to manage, store and access data," said Seth Bobroff, general manager, Intel Data Center Group, Storage. "Today, households and small offices have an ever-increasing number of computers, laptops, netbooks and mobile phones that create and consume digital content. "This advancement in mobility coupled with the explosive growth of data and media are creating the need for centralized, easy-to-use network storage solutions for the home and small office." 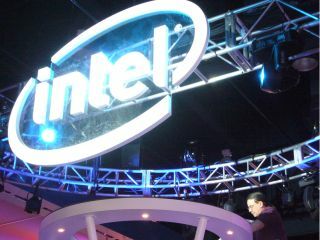 Intel are hoping that the Atom-based platform, teamed with the company's Intel 82801IR I/O Controller will bring-about cheaper, more advanced and reliable systems that will sit ideally in the modern home – complete with its multiple computers. "The introduction of Intel's Atom processor is a critical advancement that will dramatically change the scale of storage solutions across LaCie's target markets," said Erwan Girard, professional business unit manager, LaCie. "We are excited to work with Intel and leverage this game-changing technology to offer a new level of powerful and robust features to our customers." The new platform features six PCI Express lanes, 12 USB 2.0 ports, a port multiplier function and eSATA ports as well as hot plug capabilities and integrates Ethernet MAC controller, and can support Windows Home Server or Linux.